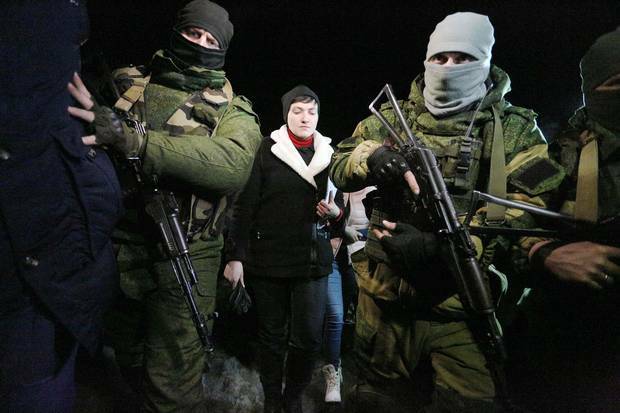 Pro-Russian fighters accompany Nadiya Savchenko, middle, on a visit to the community of Makiivka, Donetsk region, on Feb. 24, 2017. 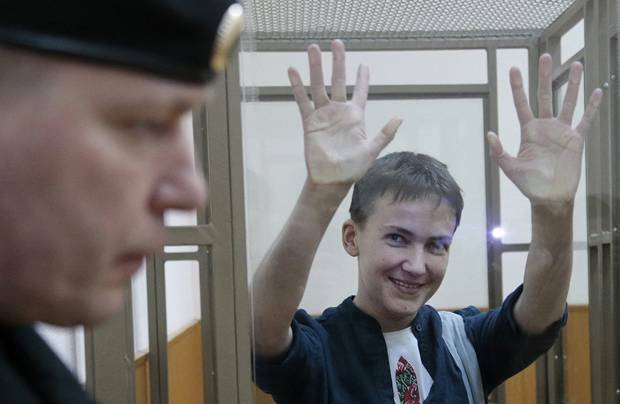 Standing in an iron cage in a Moscow courtroom – weakened by hunger strike, but still defiantly refusing to speak a word of Russian – Nadiya Savchenko was the embodiment of Ukrainian resistance to Russian efforts to subdue her country. Released last year as part of a prisoner swap, the 35-year-old ex-fighter pilot was hailed as a national hero on her return to Kiev. Some whispered that she might even be the political leader Ukrainians were looking for to direct the country in its undeclared war against their giant neighbour to the east. Ten months later, Ms. Savchenko is indeed spoiling for a fight. But it's not Russian President Vladimir Putin – whom she calls "enemy No. 1" – who she plans to confront first, but instead what she calls her country's "enemy No. 2," the government of Ukrainian President Petro Poroshenko. Ms. Savchenko asserts Mr. Poroshenko's administration is riddled with corruption – including the President's own business ties to Russia – and accuses Mr. Poroshenko of having kept the Ukrainian army from taking decisive steps to end the three-year-old war against Russian-backed separatists who control much of the southeastern Donbass region. "It's impossible to fight enemy No. 1 when at your back there is enemy No. 2. There is too high a chance that enemy No. 2 will make a deal with enemy No. 1 to kill you," she says in an interview, summoning the disdain for authority she displayed in the Moscow court court during a nearly year-long trial that began in the summer of 2015. Mr. Poroshenko, a billionaire media magnate and chocolatier who has been slow to divest his assets since coming to office in 2014, still owns a chocolate factory in the Russian city of Lipetsk that is due to shut down in April. Mr. Poroshenko's name also surfaced in the leaks of the so-called Panama Papers as the owner of a company registered in the British Virgin Islands, leading to accusations that he had sought to evade Ukrainian taxes even as he was leading the country in a war. Mr. Poroshenko has denied there is anything improper about his business dealings. 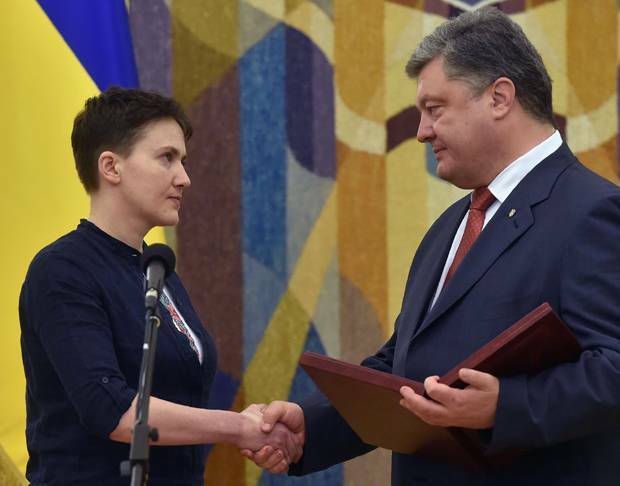 Nadiya Savchenko no longer dismisses suggestions that she could be president of Ukraine one day. Ms. Savchenko says she isn't calling for another revolution akin to the 2014 uprising that helped bring Mr. Poroshenko to power, warning that any street protests would quickly devolve into violence "in this situation." But while she used to dismiss suggestions that she could lead Ukraine, she no longer does. "I wasn't thinking about being President before. I'm so tired of this question. My task is to make Ukraine stronger. If that requires me to be President, I'm ready to be President," she says in clipped sentences when we meet in the back room of a trendy Kiev coffee shop. 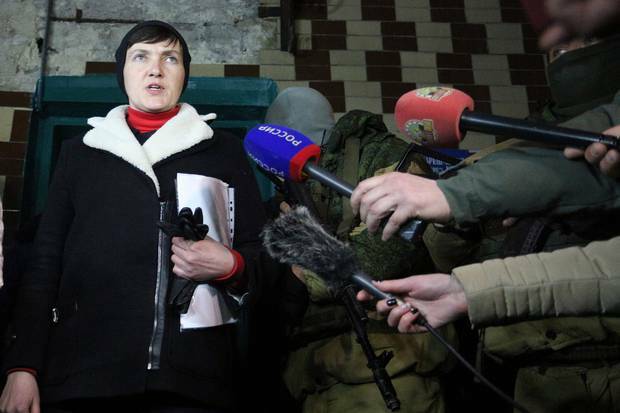 Ms. Savchenko still comes across more as an off-duty soldier than a politician of any stripe. Nearly a year in the media spotlight hasn't made her any more comfortable speaking to journalists. Dressed all in black, she hunches her shoulders and rocks slightly in her chair as she speaks, alternating between making eye contact with her interviewer and looking dreamily out the window while composing her thoughts. But, as she points out, this is an era in which voters in Europe and beyond are turning to unconventional politicians. Then the conversation takes a turn for the alarming. Asked how she'd govern, Ms. Savchenko says Ukraine needs a military-style government if the country is going to both stand up to Mr. Putin and get respect in the age of Donald Trump. She rattles off an oddball list of political idols, headed by former Chilean dictator Augusto Pinochet, followed by a few more palatable names in Margaret Thatcher, Angela Merkel, Ronald Reagan and Nelson Mandela. "Obviously, he was a dictator, but in an altruistic way. The country was much better after him than it was before him," she says of General Pinochet. She makes it clear she'd rule Ukraine in the same way. "I'm pretty sure it should be more or less a dictatorship [in Ukraine] after the war, just to stabilize the country and normalize the situation. We need to have a strong leader who can control the situation until it passes through to the next stage of development." An odd group: Chilean dictator Augusto Pinochet, British prime minister Margaret Thatcher, U.S. president Ronald Reagan, South African president Nelson Mandela and German Chancellor Angela Merkel. Such comments have bewildered Ukrainians and tarnished Ms. Savchenko's once sparkling image. Opinion polls taken shortly after she was freed by Russia – where she had been charged in connection with a mortar attack that killed two Russian journalists working in separatist-controlled territory – showed nearly 15 per cent of Ukrainians thought Ms. Savchenko should be President, a comparable level of support to either Mr. Poroshenko or his chief rival, former prime minister Yulia Tymoshenko. Ms. Savchenko says she doesn't trust the polling figures, while at the same time blaming a government smear campaign – casting her as someone who may have been turned into a Russian agent while sitting in the Moscow prison – for her declining popularity. The accusation of Russian ties stems from an unapproved trip Ms. Savchenko made in December to meet with Alexander Zakharchenko and Igor Plotnitsky, the Kremlin-backed separatist leaders who rule a pair of unrecognized "people's republics" nestled against the Russian border. Ukraine's official policy has been to ignore Mr. Zakharchenko and Mr. Plotnitsky in favour of direct negotiations with Moscow. 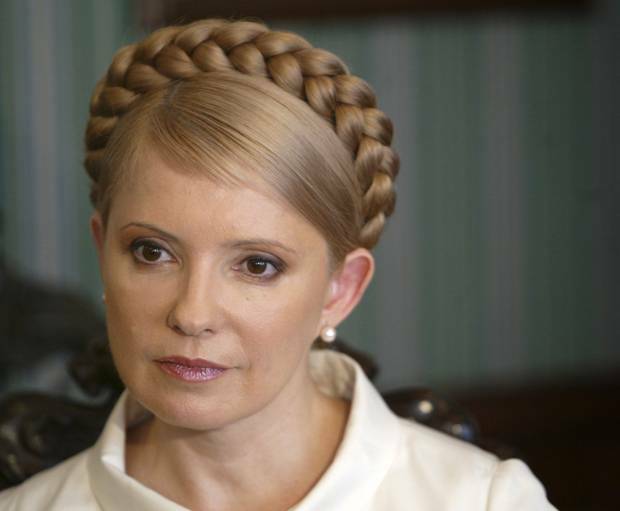 The controversial trip led to her fallout with Ms. Tymoshenko. Ms. Savchenko also made waves by suggesting that Kiev must accept that the Crimean Peninsula, which Russia seized and annexed from Ukraine amid the turmoil of the 2014 revolution, is lost for the time being. Ms. Savchenko defends her efforts as an attempt to end the war in Donbass, which has killed more than 9,800 people in the past three years, while simultaneously crippling Ukraine's efforts at political and economic reforms. "Unlike other politicians, I'm not just talking, I'm trying to act," she says. The suggestion that she would ever co-operate with the Kremlin draws a snarl. "Russia is our enemy. I hate Putin." That she even has to make that statement is a sign of how rocky Ms. Savchenko's first year in politics has been. "There's a question whether she's [making peace overtures] because it was a condition of her release by Russian authorities," said Alyona Getmanchuk, director of the Kiev-based Institute of World Policy. "People who put 'Free Savchenko' hashtags on their Facebook and Twitter accounts [while Ms. Savchenko was in prison] feel betrayed by her now." With nationalist fervour running high in Ukraine, Ms. Getmanchuk says any politician who suggests compromising with Russia risks ending their political career. But there's more sympathy for Ms. Savchenko's initiatives closer to the front line in the east of the country, where people have to live with the sights and sounds of the war. 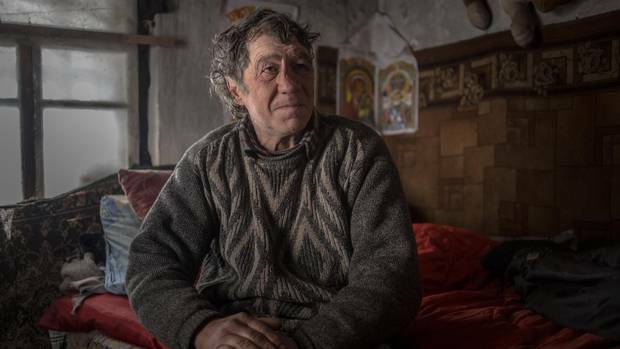 "She's very popular here," said Konstantin Batozsky, a political commentator in the eastern port of Mariupol, the largest Ukrainian-controlled city in the Donbass region. "She's the only one who comes and talks to the people." As Russia-U.S. ties strengthen, violence escalates in Ukraine The Ukrainian government believes there is a direct link between the Jan. 28 call between Trump and Putin and the surge in fighting between the army and separatists afterward, Mark MacKinnon explains. 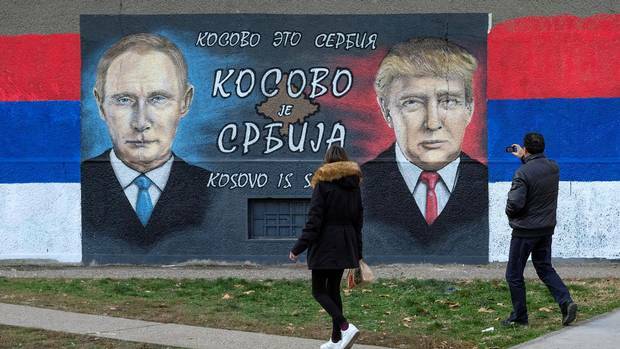 With Trump in the White House, the Balkans whisper of war Nowhere in the world is tension higher than in a region where peace has largely been maintained by U.S. political will and the possibility of its military intervention, Mark MacKinnon explains.